We may not always be thinking of green solutions when planning for Christmas, but the are ways to help keep Christmas green. This is a guide about green Christmas tips. First, in October, I bought 40 lbs. of apples on 'after Harvest' special and made nearly 2 gallons of applesauce and apple butter. I bought canning jars/lids on clearance since it was just past harvest season. I didn't need to buy all the "usual" canning supplies, I just used what I already had in my kitchen, including two big stockpots. I composted all of the apple scraps. Next, I collected the ingredients and supplies to make my own "gourmet scone mixes" which included white whole wheat flour, poppy seeds, and walnuts. Some ingredients are usually expensive at the grocery store, so I bought some online in bulk to save some money. The "plastic" bags I used for the scone mixes, I bought in bulk online and are compostable cellophane bags. Last, I made my own "Christmas Morning" tea blend just for my family. I packaged them in recyclable/compostable brown Kraft bags (30 cents each). For each "house" in my family (instead of each individual), I put together a special Christmas Morning breakfast package. I included one jar of apple butter, a scone mix, and a bag of tea. I reused boxes and packaging that had been shipped to my house that I've saved up all year. I used any heavy brown packaging paper to wrap the boxes and had my two year old daughter color in the "wrapping paper" with crayons and markers. To save money on shipping (a lot of money, since one side of my family is in California and the other half is in Vermont! ), I shipped packages together to families who still live close together and would be seeing each other during the holidays anyway. I sent three-in-one to Wisconsin, two-in one to California, and another three-in-one to Vermont, and voila! Christmas was done! The only con was this process was very time consuming - but putting all of that love and energy into each gift is what makes Christmas giving so much fun! My family always has a chore of finding correct size boxes for Christmas gifts, and then having to break them down afterward for the recycle bins. This year, we have pledged to "soft wrap" every gift. There will be no more boxes, and no chore we all dislike. Let us all save planet Earth! While reading my ThriftyFun newsletter and leaving an answer for someone regarding less expensive Christmas shopping, an idea popped into my head. 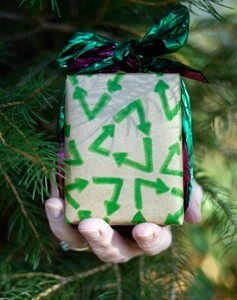 If your family would be willing, check it out now, how about a recycled Christmas? Everyone has something in their home that they never, or seldom, use. Give it as a 'white elephant' Christmas gift. In my apartment building some of the tenants draw names for a secret Santa gift exchange. Many of the gifts turn out to be 'recycled' or homemade. Most of us are retired seniors with limited income. What you can't use, probably someone else can. Here are some great tips on having a planet friendly Christmas. You can reduce your carbon footprint a lot by using just one of these ideas. We also need to think about changing our habits. Going green can save you a lot of money. 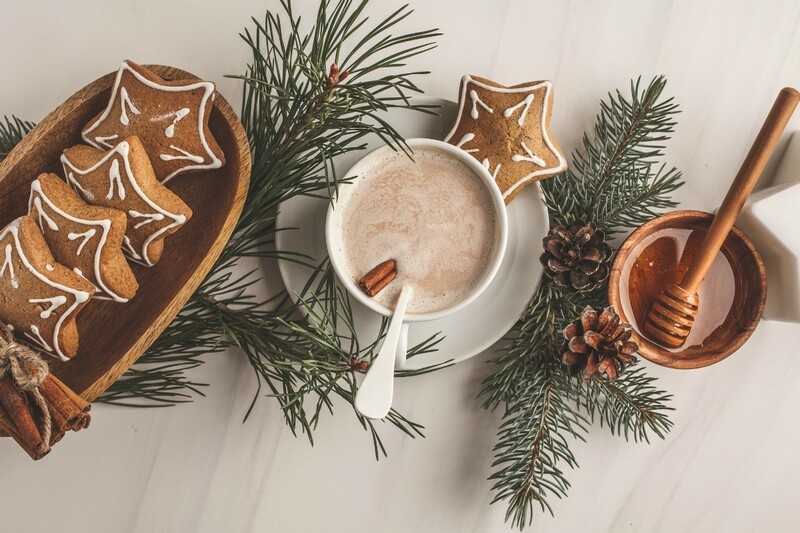 This is a guide about holiday entertaining with sustainable style. Holidays tend to be a time that create excessive amounts of waste. 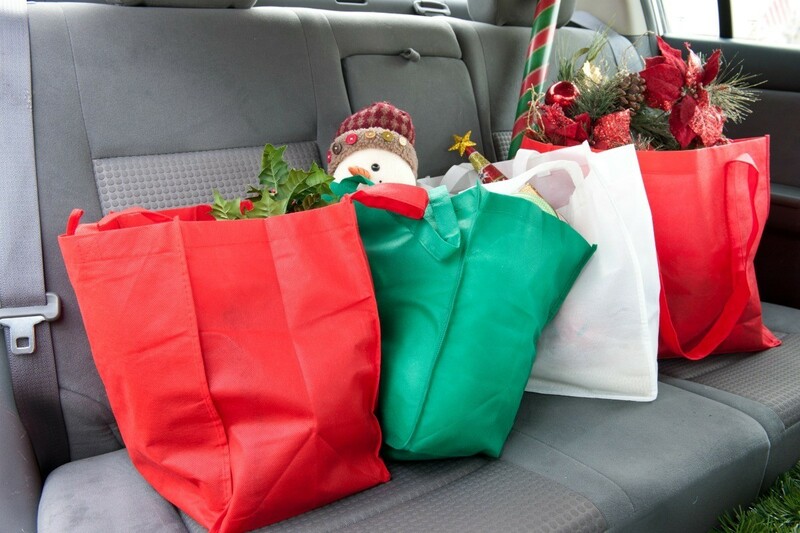 Here are some great tips for reducing trash, lowering your power bill, and great ways to help the environment when celebrating this holiday season. Wrap presents so the packaging is a gift as well. This is a guide about using fabric Christmas bags for green gift wrapping. 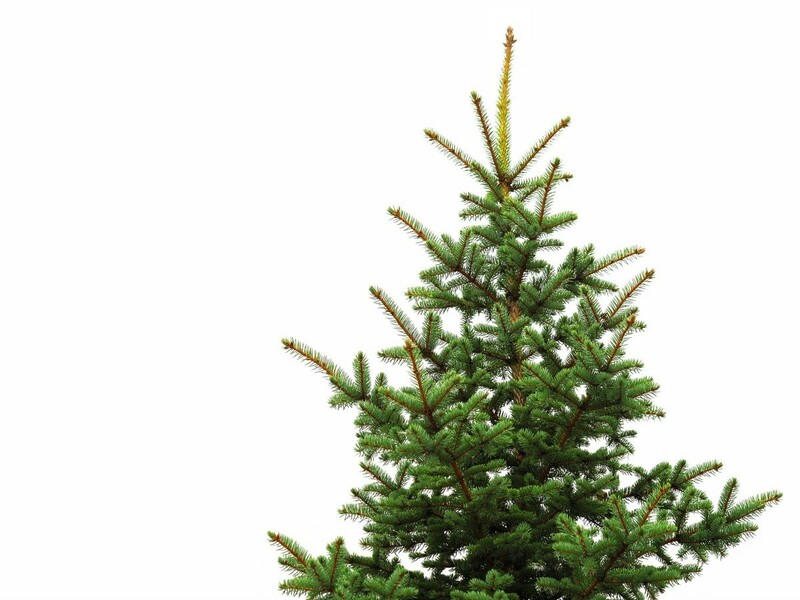 This is a guide about the benefits of buying a real Christmas tree. Despite what you may believe, buying a real Christmas tree is actually environmentally friendly. Here is some great information, dispelling a number of myths in the real vs. fake debate.